The innovative range of specialty tools will allow customers to finish a variety of applications in sign, display and packaging materials. Esko, the global name in commercial printing industry, recently initiated a new range of Kongsberg tools for their customers. With more than hundred high-quality cutting blades, router bits and accessories, some of the novel tools include a psaligraphy (paper cutting) knife tool, perforation wheel and braille tool. All three tools are available for usage on the Kongsberg XN, Kongsberg V and Kongsberg XL Series of digital finishing systems. for Esko Kongsberg. 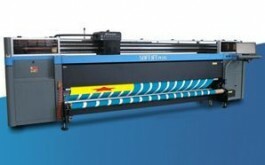 It is going to be highly beneficial for the signage, display and packaging markets. The broad portfolio of Kongsberg cutting tables will cater to the different needs and speed in various segments of these markets. The wide variety of tools will enable customers to extend their offerings and expand their businesses with the most creative use of materials and applications. Producers of packaging, displays and signage are used to work with a variety of substrates, ranging from foam, plastics and vinyl to paper, corrugated boards and folding carton. Now more materials can be added to the portfolio, including glass, wood, aluminium and textiles - opening up new markets and new applications. To keep up with these new demands and further improve existing solutions, Esko Kongsberg has an experienced R&D team which is constantly developing new tools. Today, Esko Kongsberg already offers more than 100 different cutting blades that are optimized for a very broad range of materials and applications. 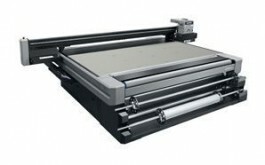 Now these cutting systems can do more when equipped with crease wheels, crease blades, milling bits or plotting pens. The new Psaligraphy (or paper cutting) knife tool cuts out the finest details in paper and folding carton. This is a tool for adding creativity and value to greeting cards, promotional items or folding carton samples. The 60 mm Perforation wheel will enable users to create tear and crease-assist perforations in corrugated board up to 4 mm thick at a much higher speed than before. This tool is for producing POP-materials and all kinds of packaging. Generally it used to take about 40 seconds to do one meter of a 3x3 perforation pattern (3 mm cut and 3 mm space). The new wheel only needs 2 seconds to do that. The Braille tool, loaded with clear acrylic'Braille spheres' that are inserted into small holes are milled with a special spindle to create raised dots that are readable with fingertips. The Braille tool will work on most rigid materials more than one mm thick and can be used to produce signage requiring directions or inscriptions in braille. Esko's online Kongsberg store for bits, blades and other accessories offers all the certified consumables for the full range of digital finishing tables at www.esko.com/store.